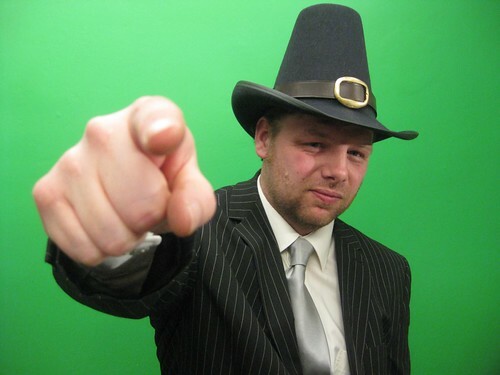 Crack out the hats with buckles on it - it's time for Puritan Alan Sugar, brought to life tonight in the studio by Meds. 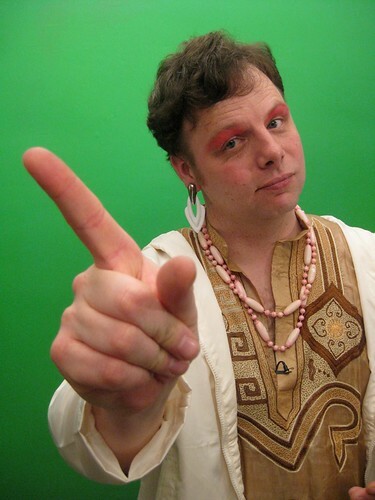 He also slapped on a bit of futuristic make-up (think Blake's 7) as James "Horny Pony" Jackson. All will become clear. Possibly. More News@Then as Kerry uncovers a Victorian plot to pop the moon. Click here to see it on blip.tv and here to see it on YouTube.